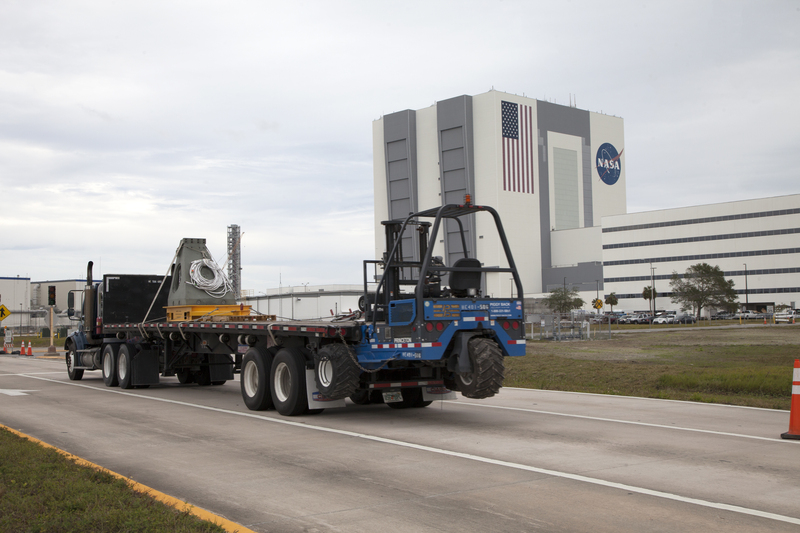 Several of the umbilicals that will support the launch of NASA’s Space Launch System (SLS) rocket atop the mobile launcher were transported from the Launch Equipment Test Facility to the Mobile Launcher Yard and staging area at the agency’s Kennedy Space Center in Florida. 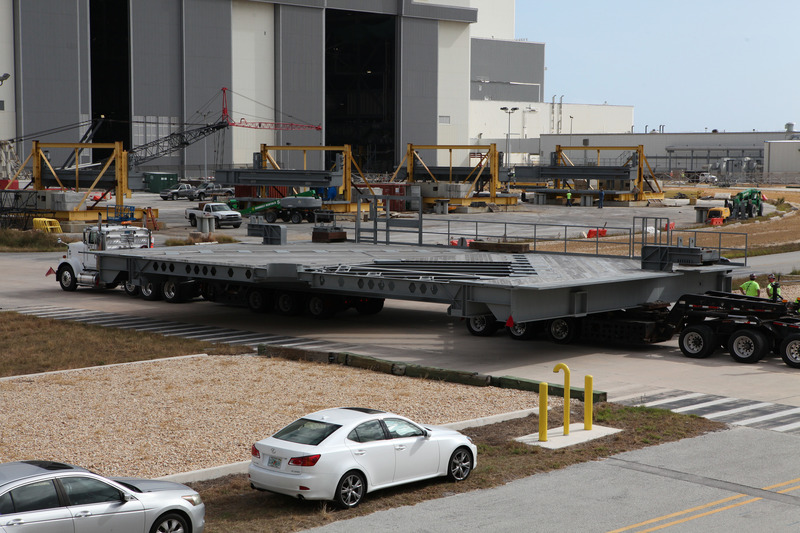 They will be prepped for installation on the mobile launcher. The mobile launcher tower will be equipped with several launch umbilicals, which connect to the SLS core stage and twin solid rocket boosters, the interim cryogenic propulsion stage and the Orion spacecraft. They will provide power, communications, coolant and fuel. Several other accessories will provide access and stabilization to the rocket and spacecraft. 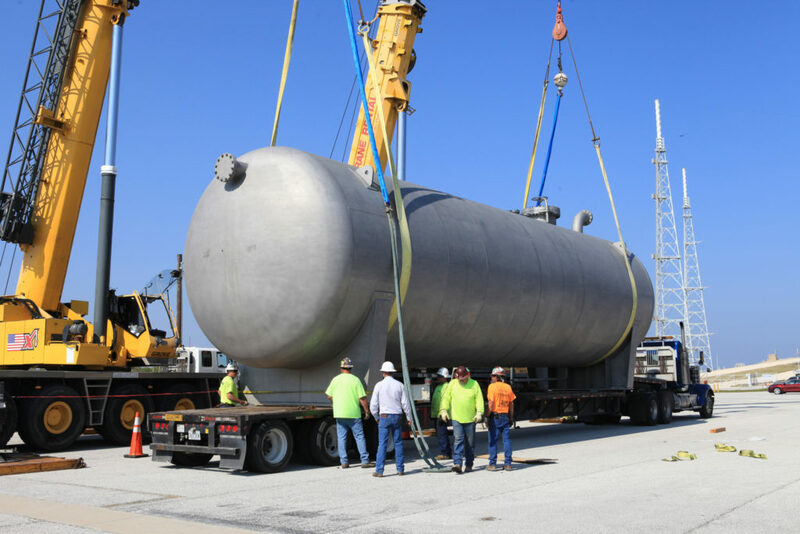 The two aft skirt electrical umbilicals and one vehicle support post were transported by flatbed truck from the test facility. The two aft skirt umbilicals will be prepped and installed on the deck of the mobile launcher in the coming weeks. 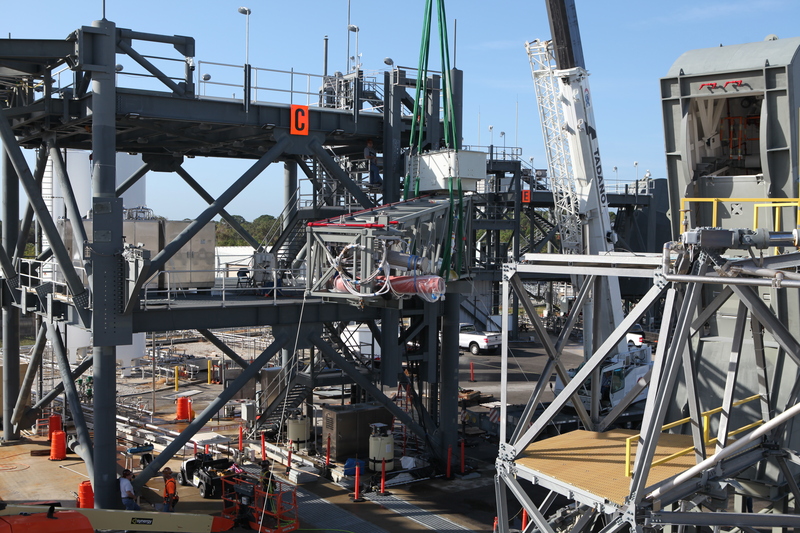 Work will begin to prep the first vehicle support post while the remaining seven posts undergo testing at the Launch Equipment Test Facility before being shipped to the mobile launcher. The installation work will be performed by the construction contractor JP Donovan Construction. The two umbilicals will connect to the SLS rocket at the bottom outer edge of each booster and provide electrical power and data connections to the SLS rocket until it lifts off from the launch pad. The umbilicals will act like a telephone line and carry a signal to another subsystem on the mobile launcher called the launch release system. 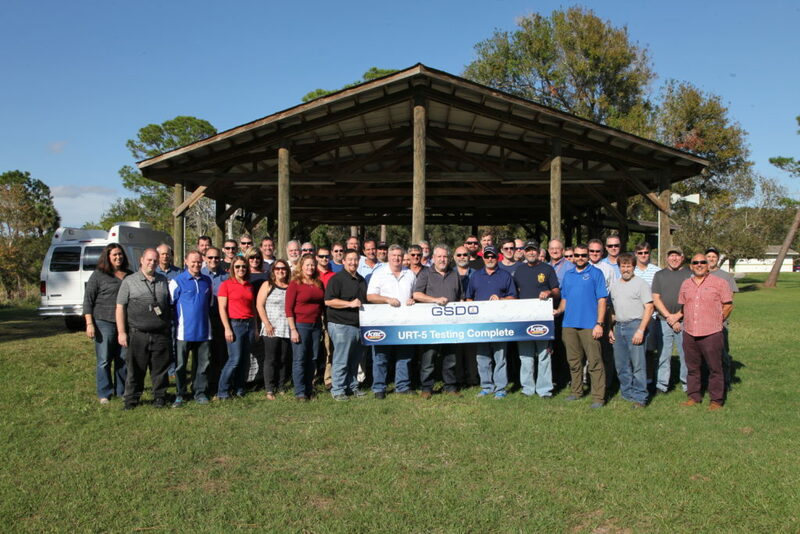 This system will distribute the launch signal to the rest of the launch accessories and the SLS boosters will actually initiate the launch release command. There are a total of eight posts that will support the load of the solid rocket boosters, with four posts for each of the boosters. The support posts are five feet tall and weigh about 10,000 pounds each. They will be located on the deck of the mobile launcher and will be instrumented with strain gages to measure loads during vehicle stacking, integration, rollout and launch. The posts will structurally support the SLS rocket through countdown and liftoff. NASA’s SLS rocket is scheduled to launch with the Orion spacecraft atop from Launch Pad 39B in late 2018. The mission will send Orion on a path thousands of miles beyond the moon over a course of three weeks before the spacecraft returns to Earth and safely splashes down in the Pacific Ocean. The mission will be the first in a series of the proving ground as NASA prepares for the Journey to Mars.